I'm not the biggest chili fan when dining out. But THIS chili is simple and more appealing than any other I've tried. I'm not a huge cook (my mom is though so I've picked up a few tips from her), and this is such an easy meal. 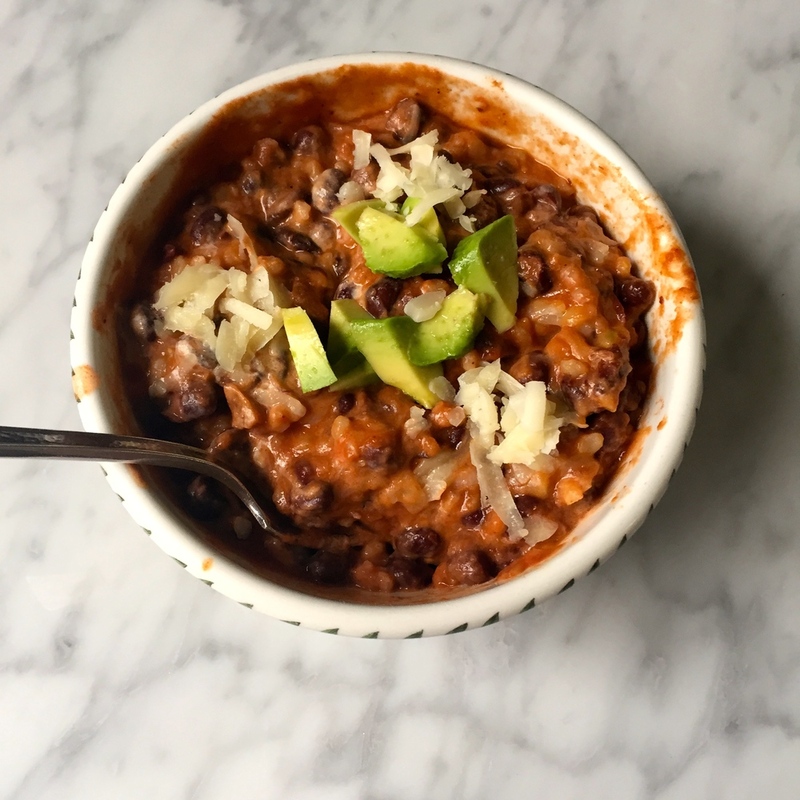 All it is is one spoonful of brown rice slightly salted, cooked black beans stewed in tomato sauce with onions, garlic, cayenne pepper, five spice powder, a bay leaf and any thing else you want to throw in. I add Frank's hot sauce and pepper, freshly grated cheddar cheese and of course, avocado (duh). This is delicious with sautéed cabbage, by the way. I ate this last night. It was 80 degrees outside. 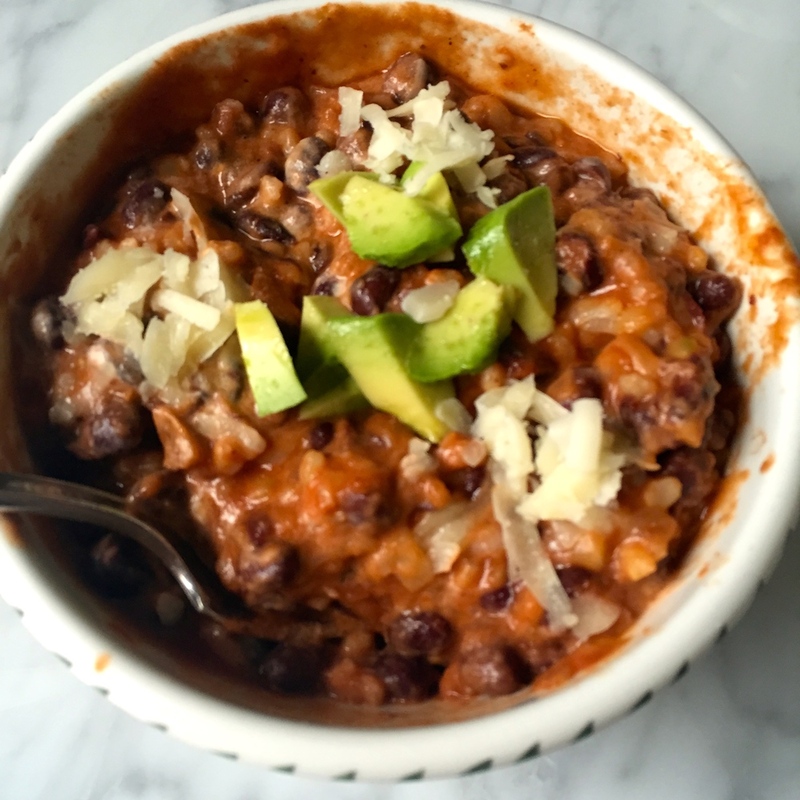 Whoever said chili is for the winter lied.